Last year, I made my husband an Oscar the Grouch card for his birthday since he mentioned that was his favorite character as a child. When this year rolled around, I had just received Elmo & Friends Holiday cartridge and couldn't wait to try it out. I've always rather partial to Elmo, although this cartridge has some really cute Cookie Monster and Big Bird images, as well. This is actually a Valentine's Day image, but I decided to stamp Happy Birthday on the tag. 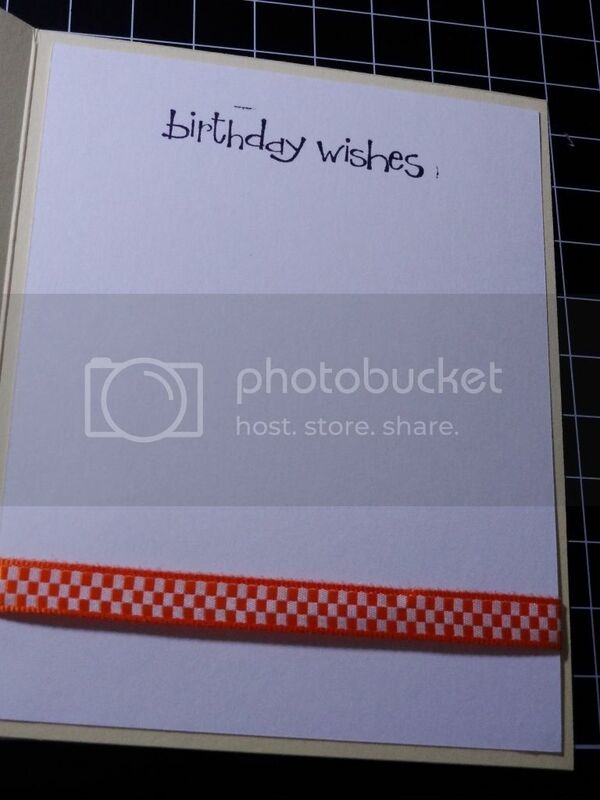 My husband made a bit of fun of the card saying that it looks like a potty. 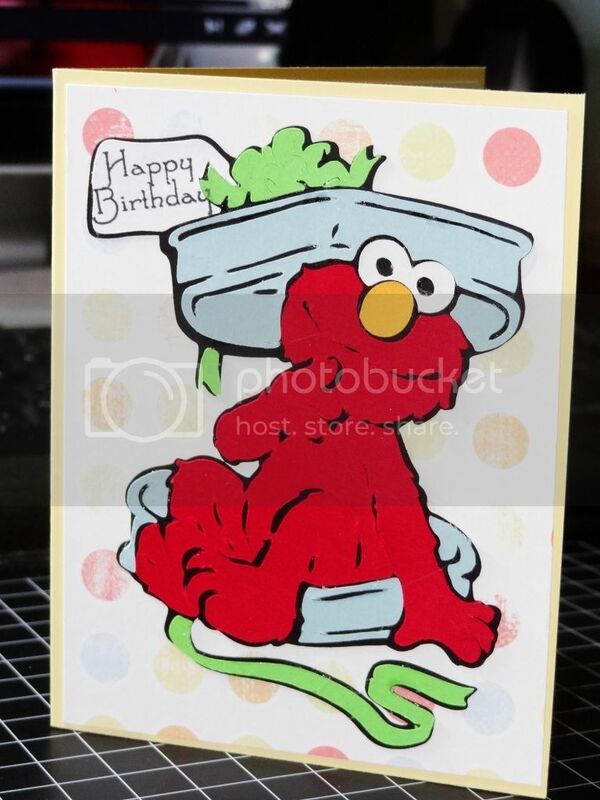 Oh well, I like it, particularly Elmo's mischievous expression. That's what counts, right? One thing about this cartridge is that certain images, though this one isn't too bad, suffer from the same major flaw as the other licensed character cartridges--too many small pieces or unnecessary outlining. If you use tweezers and have a little patience, you should be okay but otherwise it may drive you crazy. Most of the supplies are miscellaneous from my stash. The interior stamp is from an Stampin Up stamp collection and the interior is a partial stamp using a masking technique from My Pink Stamper's Even More Punny-licious set.